The Academy Select Baseball Club indoor home workout facility is Centerfield Baseball Academy in Plano Texas. Centerfield Academy is also open to the public for cage rental and instruction. Call Centerfield Academy and get set up with one of their professional instructors. 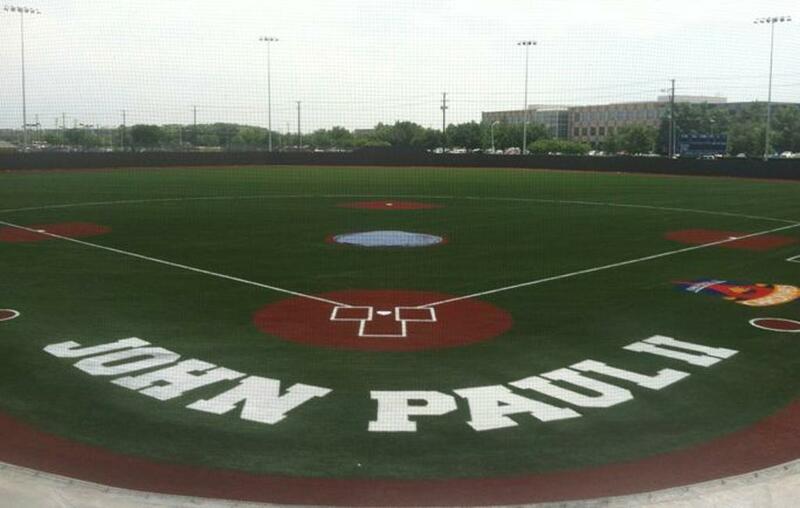 The Academy Select Baseball Club home workout facility is the brand new fully turfed field at the John Paul II High School Campus. The field has all of the amenities for training and developing. We feel it is the best facility in the state and we are lucky to have it as our home field.